John Jeffers, president of the United Steelworkers Local 8183, seated at right, listens to U.S. Rep. Keith Rothfus, far right, respond to Jeffers concerns about the Trans-Pacific Partnership free-trade agreement and its possible negative effect on U.S. jobs at a “Coffee with Keith” event at the Maple Restaurant on Maplewood Avenue in Ambridge on Tuesday, April 2, 2013. Seated with Jeffers are John Wakeley, 8183 unit chair for Horsehead Corp., front left, and 8183 vice-president Tim Yeater. Jeffers was also concerned about retraining opportunities for workers as more mill jobs are being replaced by machinary. BEAVER — Some might consider U.S. Rep. Keith Rothfus’ recent round of coffee klatches with constituents to be more political theater than substantive work, but don’t tell that to Rothfus. “This is the front line for me,” Rothfus, R-12, Sewickley, said Wednesday in his Beaver office after a day of public events. Rothfus said it’s vital for lawmakers to provide district services and get out among the voters for face-to-face meetings. Besides getting a baptism into the hectic traveling schedule of a congressman, Rothfus’ first 100 days in office have been a trial by fire, including budget and sequestration talks, controversial votes on Hurricane Sandy relief and the ongoing debate over Social Security reform. 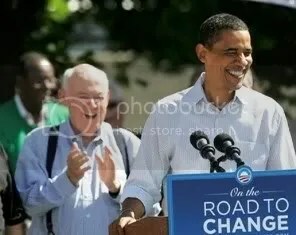 Rothfus acknowledged that he did not expect Congress to be working with President Barack Obama. “That has its own set of challenges,” he said. With the House in Republican hands while Democrats control the Senate, Rothfus said legislators should respect the will of Americans who have installed a divided government. Rothfus had to cobble together a Washington, D.C., staff while acclimating to life in the House. He still doesn’t have an apartment in the capital and says he spends his nights on his office couch. Sounding like a first-year college student stunned at the work required, Rothfus said the biggest obstacle he faces is simply digesting the vast amount of information he and his colleagues are given each day. There are hearings, hearings and more hearings, committee meetings, visits from constituents, briefings and, of course, votes to cast. “The government has a very broad scope of involvement,” Rothfus said with just a tinge of weariness. One of first votes was against a bill approving more funding for insurance claims related to Hurricane Sandy destruction and then he voted against another larger Sandy relief bill, both of which drew derision from Democrats. Calling those “tough votes” for him, especially because of the history of floods in Johnstown, which is in his district, Rothfus stood his ground last week and reiterated that any spending should be offset with comparable cuts and not contribute to the nation’s debt. Rothfus said he knows people have questioned what he might do if a disaster hit his district. He emphatically said he would fight for government financial assistance while also arguing that corresponding cuts be made so it would not contribute to the deficit. Obviously, Rothfus has not diluted his campaign promise to focus on the nation’s deficit and government spending. He’s also as opposed to health-care reform (i.e., Obamacare) as ever, insisting that regulations are stifling job growth and burdening businesses with mandates. One of his prime legislative co-sponsorships has been of a resolution that would require Congress to vote on any government agency action that would have an impact of $100 million or more on the economy. Such a law, Rothfus said, would provide checks and balances to the “regulatory superstate” that has evolved inside government. More time spent in Washington is less time spent back home, a hard adjustment for Rothfus, a father of six famously portrayed as a “regular guy” dad in his campaign commercials, to make in three short months.